I really like to perform at house concerts. I make the greatest friends. Making friends goes both ways. Getting to know a performer up close and personal in a casual gathering of friends has a very special vibe that enriches everyone. Guests take home more than just a CD of tunes; they take home a blast of creative force that stays with them for a while. Your guests will appreciate and thank you for creating a space where new friends can meet. Are You a Closet Concert Host? It takes a special person to open their home up to share music they enjoy with their friends. So, if you have a decent space, some extra chairs, and a mail list of friends to invite, then you have what it takes to host a house concert. Really. That's about it. Some hosts have fancy sound systems, but in truth, the intimacy is what makes these events so unique. Go on. Do something new. Let's spread the music around. The PDF below covers the basics. Then let's talk about turning your home into a music-friendly destination. 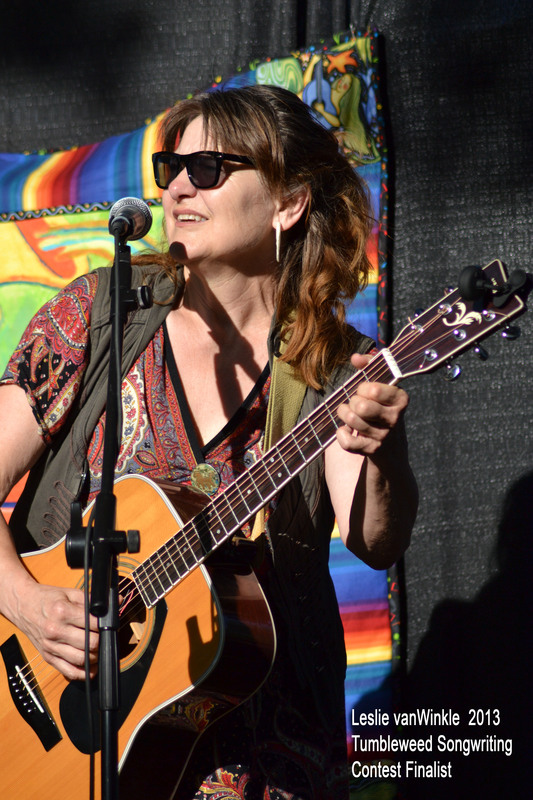 "Lifetime Experiences Inspire Songwriter Leslie vanWinkle"